Find all of the worksheets below in a single resource. What Kind of Adoption is Right for You? Work your way through this decision matrix for a preliminary indication of where to start the adoption process. You’ll find the facts about international adoption, domestic newborn adoption, and foster care adoption on issues such as parental age, marital status, finances, child’s age, openness, and more. The adoption timeline — from making the decision to finalizing your new family. Start your adoption budget with this chart of adoption cost by route, outlining fees and other potential expenses from beginning to adoption finalization (as well as adoption tax credits for each route). An adoptive mother and psychologist offers her advice on how to become an educated consumer of adoption services. 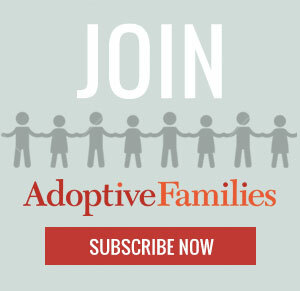 Selecting an adoption agency can be an organizational challenge. Download this worksheet and complete it for each adoption agency you’re considering. You’ll find useful questions to ask about the agency’s experience, timing, cost, country programs, and more, as well as space to take notes. Download this worksheet and complete it for each adoption attorney you’re considering. Includes questions to ask about legal fees, the attorney’s qualifications, the typical working relationship, and more, as well as space to take notes. A homestudy is the first step in every adoption process. You are likely to be asked the questions on this worksheet so download it here. Give some thought to your responses (and discuss with your partner if applicable). You’ll be well prepared for your social worker’s visit. It’s interesting that pepole still find IVF a taboo topic. As a woman in my early 40s, most of my friends have gone through IVF to conceive their babies! Fortunately, I didn’t have trouble conceiving in my 40s as I do not believe IVF would have been for me (I don’t think my body could take the hormones as I had horrible reactions to the pill). I understand pepole’s yearning and need to have a biological child of one’s own, but personally, I have always considered adopting regardless of whether or not I had fertility problems. As a result, and given the negative side effects of IVF, I think this would have been the route I would have taken.